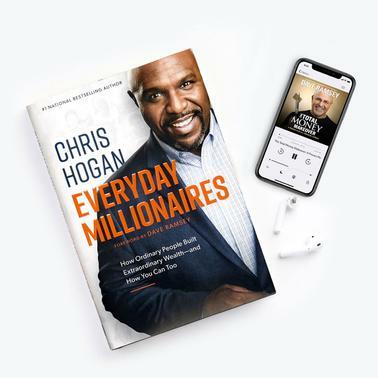 Get the audiobook of Dave's #1 bestseller, The Total Money Makeover, plus our brand‑new book, Everyday Millionaires. We want to celebrate the 15th anniversary of The Total Money Makeover with YOU! That’s why we created this limited-time exclusive new bundle. 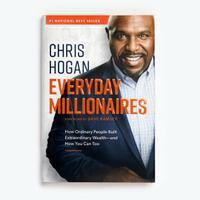 In Everyday Millionaires, #1 national best-selling author Chris Hogan will show you how ordinary people built extraordinary wealth—and how you can too. You’ll learn how millionaires live on less than they make, avoid debt, invest, are disciplined and responsible! Our new book is based on the largest study EVER conducted on 10,000 U.S. net-worth millionaires—and the results will shock you! You’ll learn that building wealth has almost NOTHING to do with your income or your background! It doesn’t matter where you come from. It matters where you’re going. Most people think it takes crazy investing knowledge, a giant salary, a streak of luck, or a huge inheritance to become a millionaire. But that couldn’t be further from the truth! Here’s what you need to understand: if you’re willing to do the work—if you’ll follow the stuff we teach, if you’ll commit to our plan—then you CAN become a millionaire. 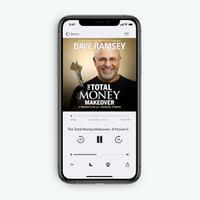 Note: This abridged audiobook MP3 download is narrated by Dave Ramsey and runs 3 hours and 41 minutes. In Dave's New York Times best-seller, he lays out seven organized, easy-to-follow steps that will lead you out of debt and into a total money makeover. This downloadable MP3 format means no shipping and no waiting. Dave condenses his 20 years of financial teaching and counseling into 7 organized, easy-to-follow steps that will lead you out of debt and into a Total Money Makeover. Plus, you'll hear over 50 real-life stories from people just like you who have followed these principles and are now winning with their money. It is a plan designed for everyone, regardless of income or age. Download immediately from your Order Confirmation email after purchase.